Wrought-iron railings have always fascinated me. The people who bend metal into a myriad of gorgeous shapes are true artists. 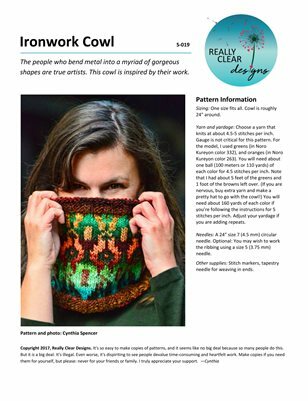 This cowl is inspired by their work. I used a self-striping yarn for both the foreground and background. It is such fun to watch the design emerge!